Our stones and materials, of the highest quality, can be set in to place without any limitations. 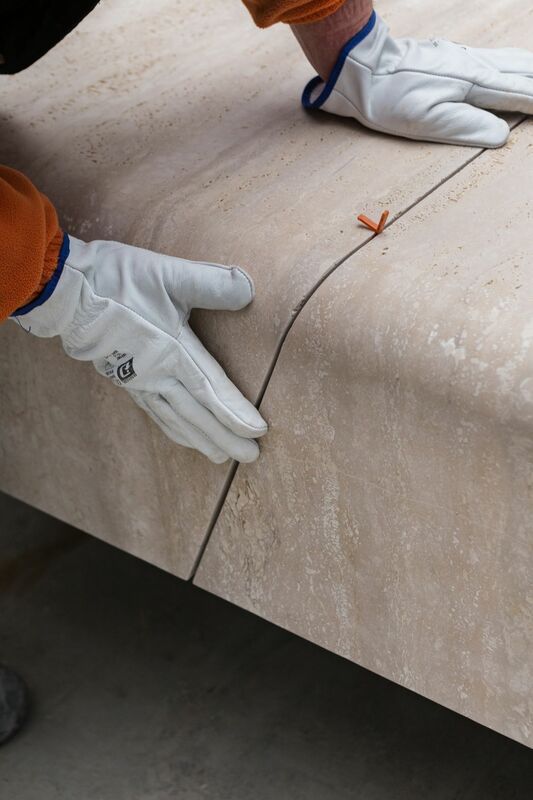 Casone selects the most suitable binders (such as glue, fillers, silicones for joints) for the stone material chosen, taking into consideration the environmental and morphological conditions of the project, all in close collaboration with leading manufacturers. The placement of the material is performed by highly qualified personnel who are skilled in dealing with any type or size of the article and in overseeing the on-site positioning. Casone creates placement schemes to be realised by its own personnel as well as for independent execution. In this case, Casone provides continuous support for the placement of the material and checks to ensure the correct execution of each operation.